Acus is a modern Responsive Website Template which you can download for free. The package includes a homepage with slider, page template with different width columns for you to create unique layouts, a blog template, portfolio / gallery template which has lightbox functionality and a contact page template with Google Maps embedded. 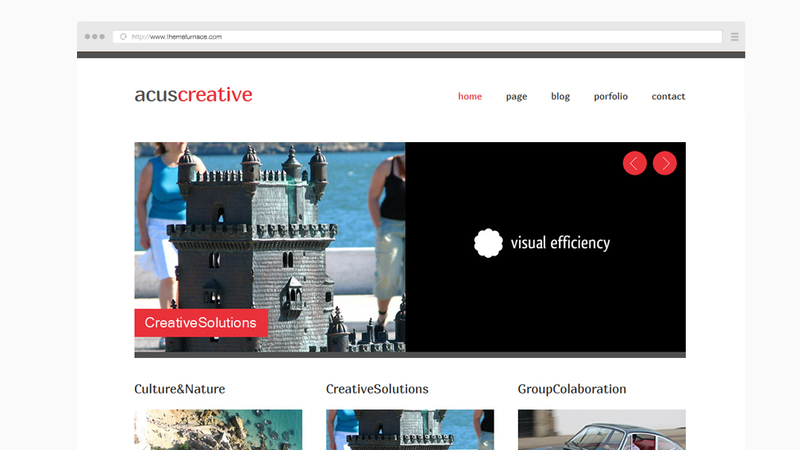 We are pleased to offer this Website Template coded with HTML & CSS for you to download Completely Free. Please feel free to use it to create any type of website for personal or commercial use. We ask you to kindly leave the link in the footer intact or link to us somewhere else on the finished site. Just Click the Download Button, Enter your Name and Email and you can download this template instantly. We will also email a copy of it to you for convenience.